For many children with autism, Christmas isn’t always the exciting time that it is for their typically developing peers. The silly season often brings an onslaught of bright lights and loud sounds, as well as changes to routines and unwanted surprises that can leave a child with ASD (and their family) in a not-so-jolly mood. We’ve rounded up three of the best tips for making this Christmas a little more autism-friendly for your cheeky elves. Create social stories to prepare your child for some of the changes and events that they will encounter over the holiday season. Social stories are easy to make using Boardmaker Online, or one of the many social story iPad apps. Social stories should include information and pictures that provide your child with the opportunity to mentally prepare themselves for a potentially challenging event. For example, a social story about Christmas Day might include photos of the family and friends who will be there, the food your child might eat, the games they will play, and so on. 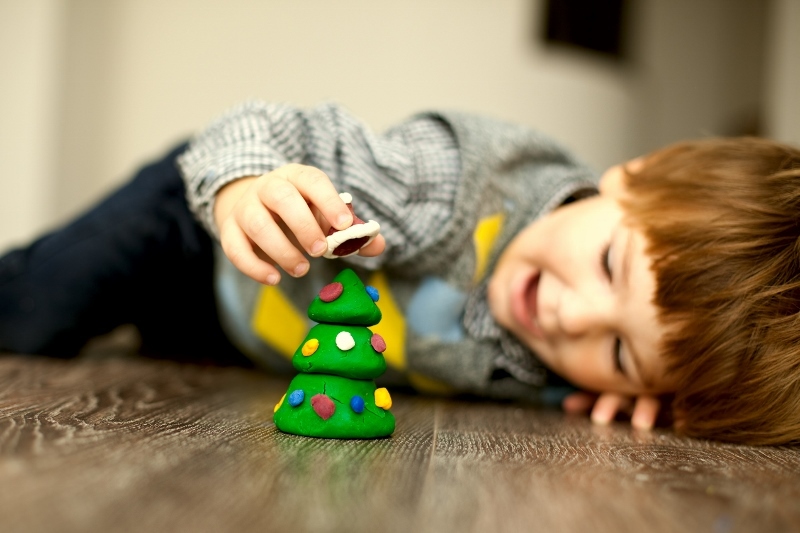 Involve your child in the Christmas decorating process as much as possible as this will help them to cope with and adapt to changes in their physical surroundings. Be thoughtful about the decorations you use, paying special attention to items that may overload your child such as flashing lights or talking Santas. Be aware of the effect these might have on your child when visiting friends and family. Though asking your hosts to turn off the Christmas tree lights isn’t everyone’s idea of holiday cheer, it’s certainly better than coping with a Christmas meltdown! Whenever possible, continue to carry out your regular family routines in order to maintain some predictability for your child during Christmas time. Though it is important for children with ASD to learn to cope with change and unexpected events, we must remember that they will be working particularly hard over Christmas to cope with all sorts of other challenges, inputs and demands. Therefore, preserving some normality and providing ample down time is key to helping your child cope with the additional inputs and festive demands. Do you have any other tips for making Christmas more autism-friendly? Add a comment below or join the conversation on Facebook! For more information about these and other ideas for supporting your child this silly season, contact us on 9768 9990. Anxiety is not a dirty word! Medicare & Psychology – what you need to know! What is LEGO®-Based Therapy and why is it so awesome? We would love to hear about your experiences at Learning Curve Psychology so we can be continually improving our services. Complete our survey here.